When it comes to dieting, losing weight fast holds some appeal. Perhaps that’s why U.S. News & World Report has added a Fast Weight-Loss Diet category to its annual rankings of best diet plans. And one of the diets that comes out on top is the Health Management Resources program. HMR is a meal replacement diet that can be done on your own at home or under medical supervision in a clinic. In lieu of made-at-home meals, dieters can order low-calorie shakes, soups, nutrition bars and multigrain cereal. The U.S. News reviewers say the plus side to the HMR diet is its quick-start option and the convenience of having meals delivered to you. The down side: “The shakes could get humdrum,” and it’s tough to eat out while on this diet. Meal replacement diets aren’t for everyone. After all, a shake for a meal can leave you wanting more. And prepared meals turn some people off. Some experts argue that a go-slow approach is better. 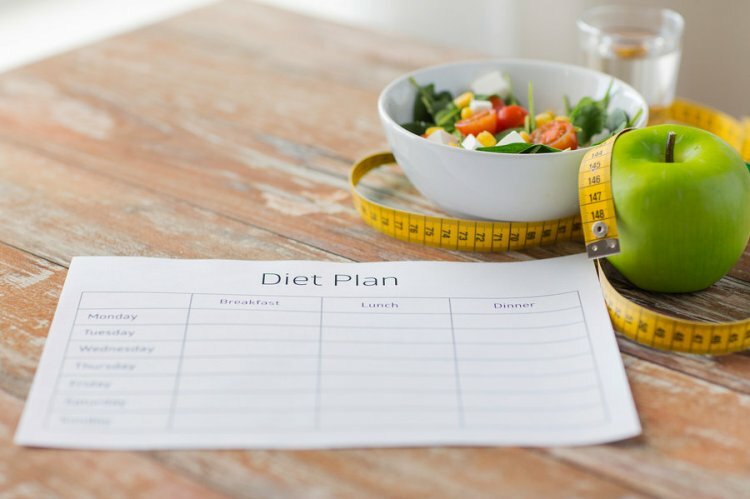 In fact, several other top-ranked diets on the U.S. News list put a focus on changing everyday eating habits, rather than following a prescribed diet. The rankings are based on evaluations by a panel of doctors, nutritionists and other health experts. For instance, the DASH diet, which was originally designed to help people control high blood pressure, focuses on a healthy pattern of eating, including lots of vegetables, whole grains and lean protein. Worried about cognitive decline? The MIND diet — which is ranked No. 2 on the Best Diets Overall list — combines the DASH approach and the Mediterranean diet, which emphasizes more fish, olive oil and nuts. Preliminary research suggests that these heart-healthy diets (DASH and Mediterranean) may also stave off mental decline. And according to the U.S. Newsreviewers, the MIND diet — which was developed by researchers at Rush University Medical Center in Chicago — focuses on foods within these two diets that influence brain health. Want a lower-carb approach? The glycemic index diet makes the list. The knock against it: It’s hard to follow. If you’re looking for an easier method to try this approach, well-known obesity researcher David Ludwig of Harvard Medical School has you covered. In his new book, Always Hungry? Conquer Cravings, Retrain Your Fat Cells & Lose Weight Permanently, Ludwig argues that the body doesn’t handle all calories equally. “The type of calories we eat can affect the number of calories we burn,” he writes. He points to a weight-loss study published in JAMA, the Journal of the American Medical Association, that found people on a low-carb diet burned about 325 more calories a day compared to those on a low-fat diet. He says a key problem in our diets is processed carbohydrates: breads, cereals, crackers, cookies, candy and sugary drinks. “Anything containing primarily refined grains or concentrated sugar digests rapidly, and raises insulin levels,” he writes. And this elevated insulin sends a signal to fat cells to store or hoard calories. “Fat cells take in or release calories only when instructed to do so by external signals — and the master control is insulin.” Too much insulin, Ludwig argues, causes weight gain. His book includes recipes and meal plans that translate the science into a prescriptive weight-loss plan. “Our program builds on [the] glycemic index [diet], but we do the work for the reader so there is no need to count anything — GI values or calories,” he tells us.